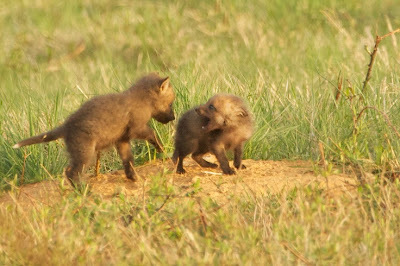 I found the baby foxes today!! In fact, I found two separate families of them. Keep those fingers crossed they stay where they are as they grow and get even cuter.